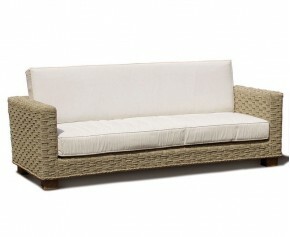 Comfortably seat your guests with this elegant Seagrass water hyacinth 3 seat sofa and leave a lasting impression. Woven with natural seagrass fibres over a sturdy teak frame, this Seagrass water hyacinth 3 seat sofa has been built to last and will offer you trouble free, fruitful pleasure for years to come. 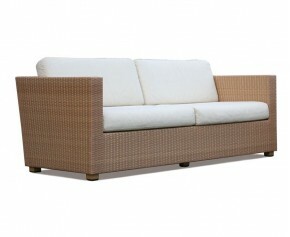 Comfortably seat your guests with this elegant Riviera 6mm flat weave 4 seat rattan sofa and leave a lasting impression. Woven with synthetic Rehau all weather wicker over a sturdy aluminium frame, this 4 seat rattan sofa has been built to last and will offer you trouble free, fruitful pleasure for years to come. 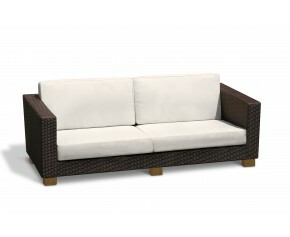 Comfortably seat your guests with this elegant Sorrento 6mm flat weave 4 seat wicker sofa and leave a lasting impression. Woven with synthetic Rehau all weather wicker over a sturdy aluminium frame, this 4 seat wicker sofa has been built to last and will offer you trouble free, fruitful pleasure for years to come. Bringing sophistication and indoor style to your garden, this wicker sofa set creates a luxurious outdoor living space for you and your guests to enjoy. Crafted by experts in synthetic Rehau rattan over a sturdy yet aluminium frame, this wicker sofa set has the natural feel and look of rattan but offers greater durability. This poly rattan outdoor sofa set is styled to perfection and creates a luxurious outdoor living space for you and your guests to enjoy all summer long. Crafted by experts in synthetic Rehau wicker over a sturdy aluminium frame, this poly rattan garden sofa set has the natural look and feel of wicker but offers greater durability. Modern outdoor furniture needs to be both hard wearing and comfortable, which is why these beautifully crafted rattan sofas are ideal. Offering a luxurious material which is long lasting, these wicker sofas provide all of the comfort necessary for those long summer evenings. 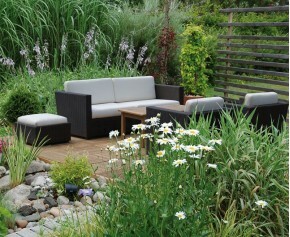 Choose from our stylish range of rattan settees here. 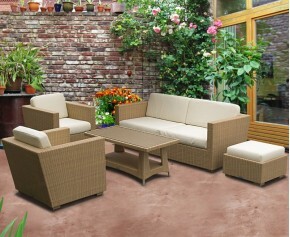 View our range of Rattan Sofa Sets.